we have been able to provide the customers with a commendable assortment of Machined Components. Under this range, we offer PTFE Molded Rods, PTFE Molded Sheet, PTFE Molded Bushes, PTFE Skived Sheet. 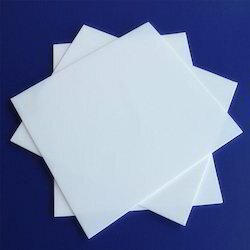 We have in store for our clients excellently designed PTFE Molded Sheet. Our raw material for the products is sourced from some of the most reliable vendors in this industry. These products in size ranging from 300 mm2 up to 1200 mm2 and thickness from 1.5 mm to 100 mm thick. 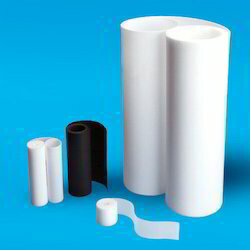 We have been able to offer our clients PTFE Skived Sheet. These are designed under the strict command of our experts using high grade machines and equipment.Clients can avail these products from us in size range of 300 mm width to 1500 mm width and thickness from 25 mm to 4 mm. Since our inception, we are instrumental in offering premium quality MS PTFE Lined 45 Degree Elbows. 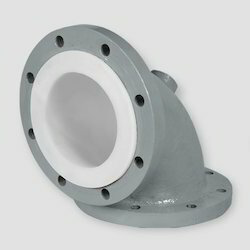 Our offered products are highly demanded in the market for their compact design and durability. These elbows are manufactured from superior quality raw material and progressive techniques in adherence to international standards. Moreover, the products offered by us can also be availed in various customized options as per the different requirements of our precious clients. These products in size ranging from 300 mm2 up to 1200 mm2and thickness from 1.5 mm to 100 mm thick.